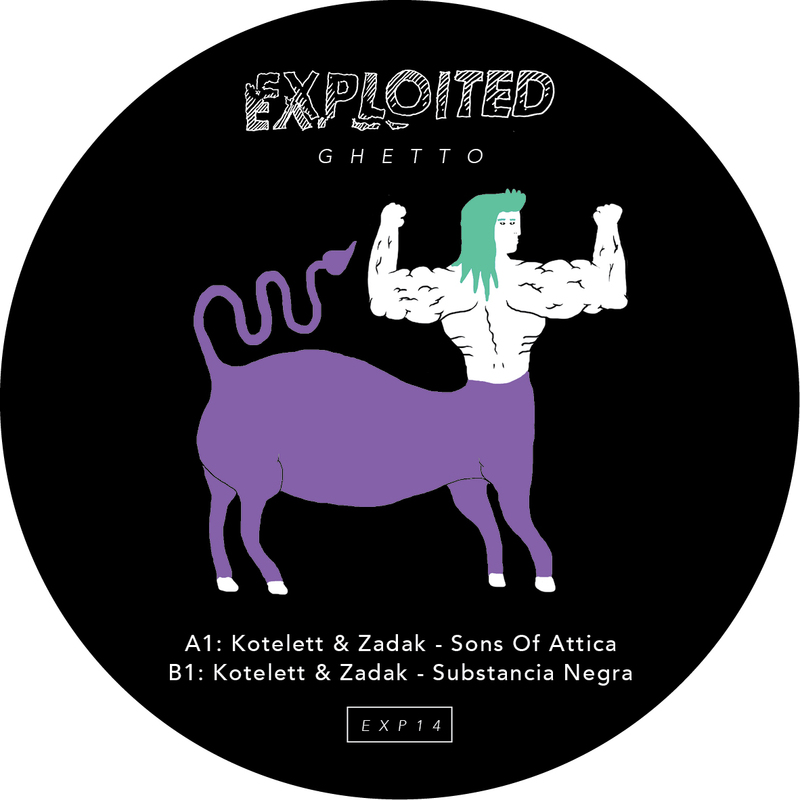 It’s the return of Kotelett & Zadak from Berlin. Their debut ’Crave Dave’on Exploited Ghetto became quickly our best selling release on the label. Now they strike back with 2 new essential tunes: ‘Sons Of Attica’ and ‘Substancia Negra’. Laurent Garnier: Another great EP from them. Sandrino: Great record! Liking Sons Of Attica a lot. Maxxi Soundsystem: Really like Sons Of Attica. Kiki: And another 2 great slices of music. Peter Kruder: Love Sons Of Attica. Substancia Negra is great as well. Will play this. Luna City Express: Great EP! Will play Substancia Negra. Severino/Horse Meat Disco: Amazing Sound. Karotte: Substancua Negra is a nice one. David Jach: Nice tunes guys!